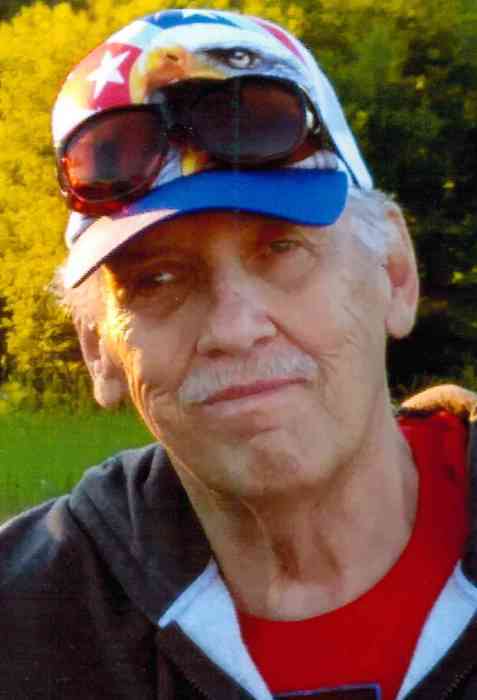 Donald Lee Eilts, 73 of Gaylord, passed away at home on Tuesday, November 6, 2018. Born in Watseka, IL on May 5, 1945, Don was the son of Melvin Sr. and Evelyn (Romine) Eilts. After graduating from high school, Don served in the United States Air Force from 1963-1967. At the completion of his military service, Don moved to Sault Ste. Marie, MI where he worked at War Memorial Hospital. In 1978 he moved to Gaylord where he worked at the Alpine Center in the behavioral unit. Later he worked in the Medical-Surgical unit at Traverse City State Hospital. After returning to Gaylord, Don worked at Glen’s Markets. He also worked as chief of security at Legends Modeling Clinic in Boyne Falls for leading model Patty Hansen. For several years Don was a board member of Michigan Veterans Trust Fund. In earlier years he was an avid hunter and fisherman. The highlight of Don’s life was his family and his companion Virginia Kauffman, of Gaylord. Also surviving are his children, Donald (Jeff) Eilts Jr. of Minneapolis, MN, David (Carla) Eilts of Gaylord, Deanna (John) Courtney of Bay City, Daniel (Evelyn) Eilts of Alma and Darrell (Kara) Eilts of Slidell, LA; grandchildren, Gabe, Logan, Gabriel, Trey, Andrew, Alexis and Robbie; a sister, Cheryl (Bill) Landis of Goreville, IL; brothers, Melvin (Diane) Eilts of Gilman, IL, Rick Eilts of Bradley, IL, Dean Eilts of Kankakee, IL and Punky (Kim) Eilts of Kankakee, IL; and several nieces and nephews. He was preceded in death by his parents and son, Douglas Eilts and a brother, William Eilts. A memorial service will take place 1:00 PM Saturday, November 10, 2018 at Gaylord Community Funeral Home & Cremation Service where the family will visit with friends beginning at 12:00 Noon. Those who wish are asked to consider memorial contributions to VFW Post #1518 Building Fund in Gaylord.